Debug Mode is a new option in version 2.9 to help with troubleshooting. It can be enabled in Restrict > Settings > Misc. When enabled, a new tab will be available in Restrict > Tools called "Debugging". 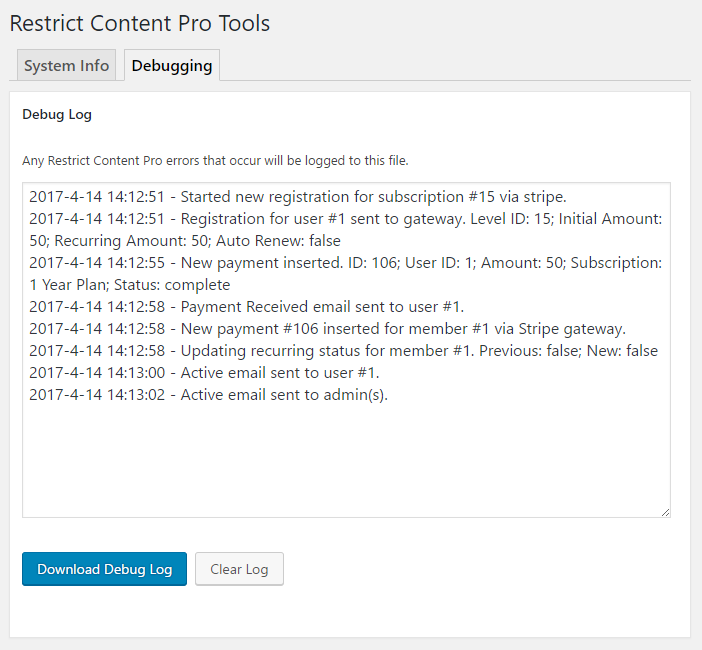 When enabled, Restrict Content Pro will start logging important actions and updates that occur. This can be useful for tracking plugin behaviour, account updates, and emails.